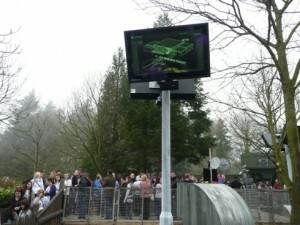 Chigwell School in Essex installs Aqualite LED digital signage screens to manage queues in the school catering hall. 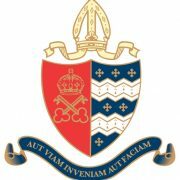 Founded in 1629 and situated on a 100-acre site in the heart of West Essex, Chigwell School is home to over 800 boys and girls from 4-18 years of age. It boasts top-class facilities across all departments from Art to Sciences and everything in between. Food and beverage catering for such a large and diverse group of pupils no doubt has its challenges which is where the Aqualite screen comes in. Positioned outside the school catering hall it helps to reduce queuing times by allowing the pupils to decide what they’d like for lunch whilst waiting in line. The Standard Brightness 42” Aqualite screen is perfectly positioned under a glass roof canopy so it’s exposed to the elements but on this occasion is protected by rain and snow. IT Technician Nathalie White has worked at Chigwell School for just over three years and apart from the screen requiring a replacement remote control, has had nothing but positive comments on the screen and its performance. Jonathan Palmer is Chief Executive of the MSV Group which, in addition to Bedford Autodrome and PalmerSport, owns and operates the Brands Hatch, Cadwell Park, Oulton Park and Snetterton race circuits. MSV’s businesses include running the British Superbike and BRDC F4 championships. 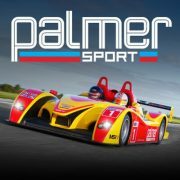 PalmerSport is a full day driving event based centrally in the UK at Bedford Autodrome, created in 1991 by ex-F1 driver Jonathan Palmer. It is open to corporate guests and private individuals, and is firmly established as the best event of its kind in the World. With excellent facilities, 6 miles of track, 4 separate circuits and endless run off, PalmerSport offers unrivalled freedom to explore – and drive flat out! ‘The fun of light hearted competition is a hugely popular and a unique element of the day at PalmerSport. Guests are scored on a number of activities, with prizes awarded at the end of the event to the best drivers. Keeping drivers informed and updated on the competition helps to generate even more excitement. 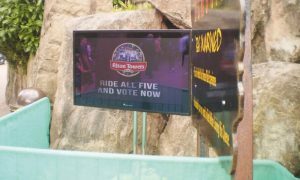 The Aqualite range of outdoor display screens are ideal as they are fully waterproof and weatherproof,’ said Kim Menen of Aqualite Outdoor. ‘Aqualite Outdoor TVs are coated with an anti glare film to reduce glare and reflection from the screen in outdoor locations. 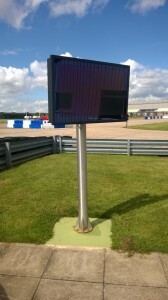 By further enhancing the brightness and contrast levels of the TV display screen, the use of this anti reflective coating ensures that lap times, current rankings and other important information is fully visible and fully readable by drivers at all speeds and in all weather conditions,’ he continued. Bar and Restaurant chain Hooters needed four, large screen external TVs to be placed on the outside bar areas that would need to withstand the tropical rain, heat, humidity and all other weather conditions of the the popular Thailand resort destination of Phuket. 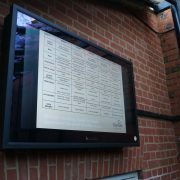 After consultation they decided on six 42” Standard Brightness screens for their location, (AQLS-42) which have been mounted on exterior walls. Commenting on the Aqualite screens, Jason Zozosky, Floor Supervisor of Hooters in Phuket said…. “We really love our tropical weatherproof, waterproof TVs. Kim Menen, Managing Director of Aqualite Outdoor comments…“We’ve sold and distributed Aqualite screens to some far-flung locations around the world, probably none more so than when Hooters, Thailand decided on six of our 42” screens. 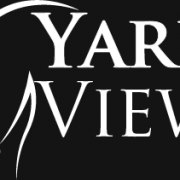 “It’s a web-based platform which means that it’s viewable on a tablet or mobile device from anywhere in the world, so if you’re away on holiday or on a business trip you can still keep track of what’s going on at your yard.” At a glance, Yard View allows you to see all of the day-to-day running of your yard. People and daily rotas are a colour coded which is a really easy and simple process to identify them”. Aqualite Outdoor are proud to be a supplier of weatherproof big flat screen LED TV displays for the stunning Giorgio Armani designed super yacht Mariu. Luxury yacht Marui represents one of the very best yachts available for charter in her class. She charters through the Mediterranean and Caribbean seas with a professional and experienced crew. Luxury motor yacht ‘Mariu’ is a 163 ft 8 in / 49.90 meter long Codecasa Italian built vessel. M/Y Mariu is unique with her clean, minimalist, practical and yet luxuriously comfortable Giorgio Armani design and styling. ‘Mariu’ provides luxurious accommodation for up to 12 charter guests in 6 cabins. She has a fantastic main master suite situated on the main deck with a king bed and His/her bathroom ensuite each with shower and central Jacuzzi. She provides another double cabin on the Main deck, Two Queens which are convertible to twins with Jacuzzi and two further twins with shower ensuites. There is Armani styling throughout the yacht including Armani furniture, Armani toiletries, and Armani beauty products. When looking for a solution to provide outdoor visual entertainment on the deck of Mariu, Waterprooftv.co.uk provided the ultimate product. The Aqualite Outdoor TV range copes perfectly with the harsh marine enviroment of Yachting, totally weatherproof, full HD along with home automation integration provided Mariu with that extra special touch. Each room has a TV, VCR, DVD, CD. MASTER has a KING His/her bathroom each with shower and central Jacuzzi. Zein like simplicity throughout. Eight Sat TV receivers. DINING SALON seating for 12 guests. Powder room amidship AFT DECK Ample, built-in stern seating. Hi-Lo table.Closed with big windows. Airco. SKY LOUNGE / CINEROOM Entertainment center: huge plasma flat screen TV/VCR/DVD/CD. Bar. FLY BRIDGE Jacuzzi. Bimini awning. 8 x chaises lounges, 3 x sun pads. Table seating 12. Wetbar. Giorgio Armani Yacht Mariu is available for rent at € 185,000.00 – 225,000.00 or $ 210,000.00 – 280,000.00 per week depending upon the season.